“It was scary so forgive the camera shaking.” Friend of this site Anna Kirey, who was there and shot the video posted here, reports that 5 people were taken to the hospital with injuries sustained during attacks by fascists and ultra-nationalists during the 1st ever pride celebration in Split, Croatia on June 11, 2011. 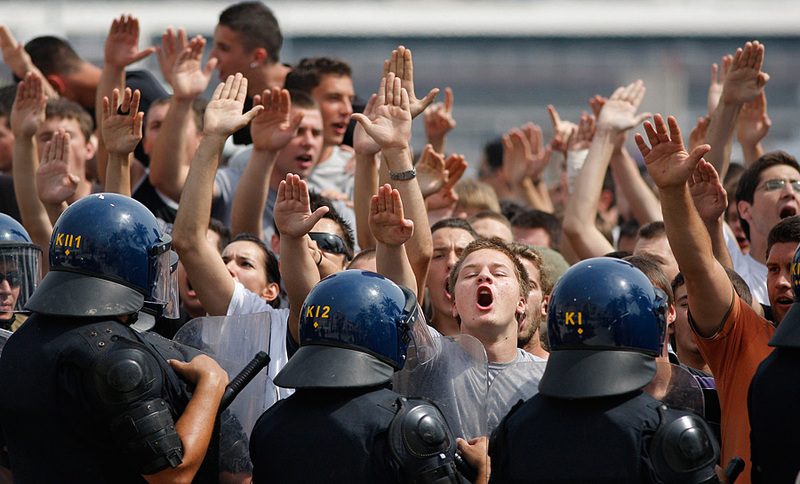 Attackers chanted “Ubij pederima!” and “Ubij srbina!” – “Kill the Fags!” and “Kill the Serbs!” According to first hand reports, many police stood back, laughing, and the Mayor of Split, wearing Croat fascist black, watched the action from a nearby outdoor cafe. More video: From Balkan artist Rakijamala, click here and for uploads from Queer Zagreb, click here. Interested in the situation around the world? Check out ILGA: The International Lesbian and Gay Association. Kind of like the Queer United Nations. 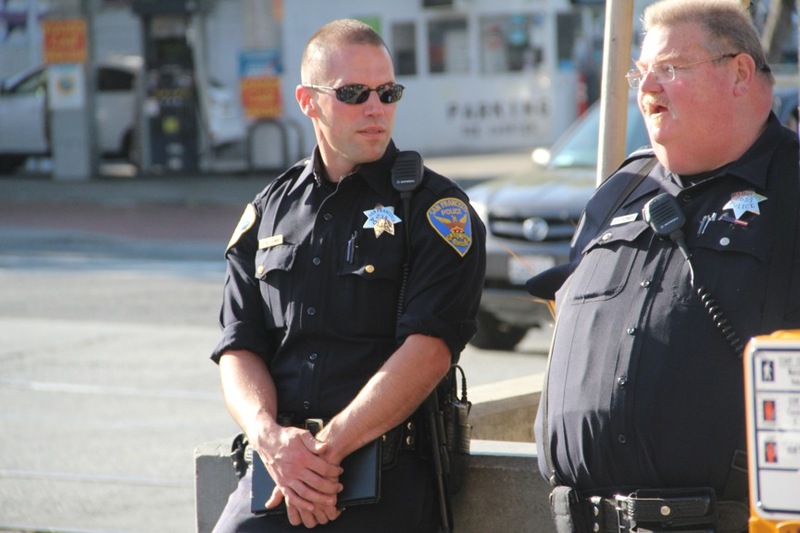 This odd couple is on patrol in San Francisco’s Castro district. We were struck by the picturesque contrast. For more sights seen in and around the village, click here. This guy was cruising the Mission district, looking for trouble when he looked into the eye of the camera. No flesh eye contact here ever, but the gaze persists. I see you seeing me seeing you. Do you see? 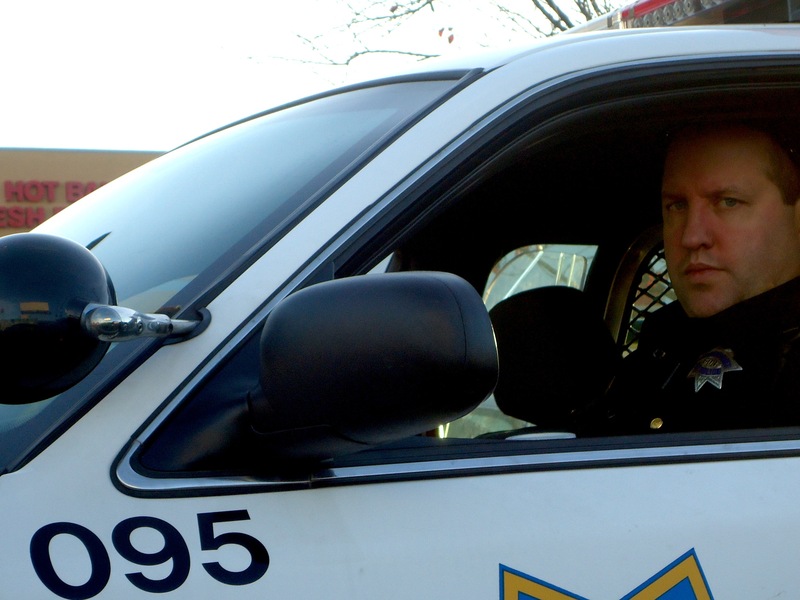 An arresting stare that begins, and ends…right there. From GayEgypt.com: “27 January Egypt update: El Baradei expected to arrive from Vienna at 19.15 Cairo international airport terminal 3. Protests already restarted today in Halwan, Cairo, and Ismailia. I can personally verify that on each road leading into Tahrir Square police in vans are already waiting (as of 1pm) for anticipated protesters. If I had to put a number I would say around 100, including those inside vans, at the entrance of each street into the main square. More of Egypt on GH: here and here. Posted in Africa, Egypt, SCANDAL: Politics, Crime, Revolution and More. Tagged Cartoons, Comics, egypt, Gay, Gay Egypt, LGBT, police, Revolution, SCANDAL: Politics, Crime, Revolution and More. Chaos in San Francisco’s Mission District as Car plows into rowdy Crowd of Giants’ Fans…Graphic Video. Wild Giants fans dance around a bonfire at the corner of 22nd and Mission, jamming percussion on tin cans and street signs, pummeling them with skateboards, chanting and dancing, wild and ecstatic. Riot or street celebration? So far, the damage is only to property. But when a car plows into the crowd, things turn ugly. The mob reacts; the police arrive. Night sticks come out. Cameras flash. The new pose of civilian surveillance: hand up; phones out. Snap. Snap. We’ve come a long way, Baby, from Rodney King. A voice from the crowd offers sage advice: “Keep on stepping back, Man. You don’t want to get close to this!” Point well taken.